The VA loan is still one of the most popular loans available today. Not only is it a benefit offered to the men and women that serve our country, but it is a loan with great terms and flexible guidelines, making it easily obtainable and affordable. While it makes sense that the people that serve our country are eligible for this loan, there are people in many categories that you may not realize are eligible for this great financing program. 90 days of consecutive service during any of these periods gives you entitlement to a VA loan. The service time required is 181 days unless you experienced a disability directly related to your time in service or you were discharged due to a medical disability that previously existed but did not occur as a result of your service. You may also still be eligible if you were honorably discharged before your time was up due to a government decision and no wrong-doing on your part. There are a few select groups of people that may also qualify as a result of the work they have done for the government or who they were married to, depending on the circumstances. A few examples include cadets of the United States Military or Armed Forces; members of certain government entities that served as allies to the US during a time of war; and personnel of the United States Naval Academy. If you are unsure whether or not your employment renders you eligible for a VA loan, you can check with the VA center in your region to find out for sure. In addition to people that served their time, certain spouses are eligible for the VA loan. This includes spouses that are currently married to someone serving in the military that is either Missing in Action or is a Prisoner of War. Spouses of members of the military that have passed away in the line of duty or as a result of their duties and has not since remarried are also eligible. A lender can help you obtain your Certificate of Eligibility or you can contact your regional VA center to find out if you are eligible. If you are able to obtain a VA loan, you have many benefits that you can take advantage of including little to no down payment; low interest rates; and low fees. The qualifications to obtain the loan are also much more flexible than any other loan type no available on the market. Do You Know if You Qualify? If you are a veteran with an existing VA loan or mortgage, you may qualify to save with a VA Interest Rate Reduction Refinance Loan, or VA IRRRL. Also known as a VA Streamline Refinance, the IRRRL allows you to refinance your existing mortgage without having to re-qualify for your loan. The application, credit check, and appraisal portions of the loan are simplified to allow homeowners to lower their interest rate and start saving as quickly as possible. 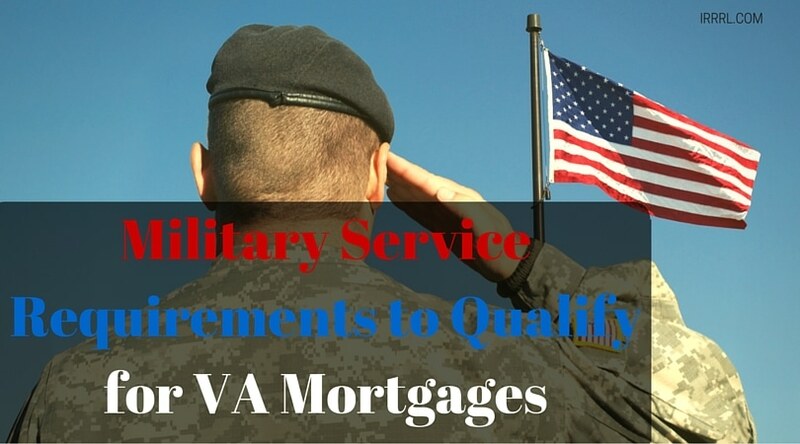 Can you Refinance a VA Loan With No Equity? How Much of a VA Loan will I Qualify for?